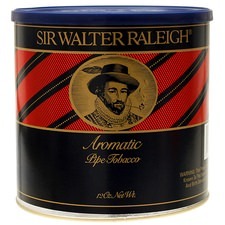 I know many pipe smokers have had both of these blends at least 100 times or more . 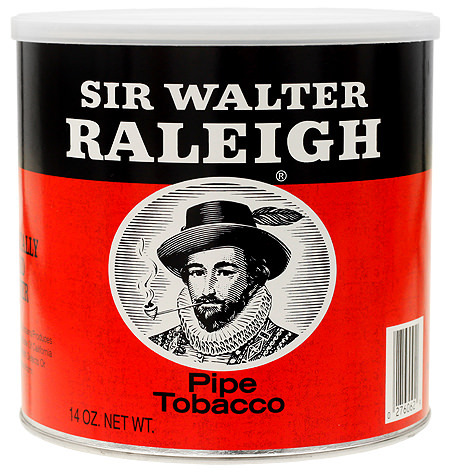 Im writing this for new pipe smokers because they are OTC blends that are easily found . The pouches seem to come in different humidity levels depending on how long it sits on a shelf , so it can be very very dry , which it shouldngt be , or hav a little bit of moisture , which it should have . Ive found that any OTC thats available in a tub is always at perfect condition but a tub cost some bucks and if youre just trying it you probably snag a pouch . If its crunchy dry , its too dry and needs a little humidification . If it has just a little give , its good to go . I buy pouches because where I buy them at seems to move pretty quick . The flavor of SWR is what I call standard Burley . It isnt refined to an elegant point [ and I mean that in a manly way , like Wessex Burley slice ] but isnt unrefined to where it tastes like some Red Burley old school Kentucky Twist plug . If youre a new pipe smoker , ya probably dont know what the heck I was just talking about . So , its a medium bodied burley flavor with some spikes of Medium + when you start to get down . The cut is near opposite of the regular . Its more like a ribbon with some shorter pieces . The colours range from medium to lighter . Its also unique in a couple ways and its kind of a big deal ..
2. And this is HUGE .... it has a good hit of nicotine . For many aromatics , nicotine is usually low and sometimes doeesnt even exist .... not this sucker ! This blend seems to have a love it or hate it reaction many times , though thre are middle ground folks of course . Good descriptions, Mayor. I really dig the SWRA; the SWR is just ok. But if you want to vary your cellar a bit, these are two very distinct and reliable blends. Easy to get and won't break the bank. I just love the pouch smell of SWRA, you think they make it as a cologne?? I like SWR and am convinced that if it became unavailable it would be much lamented in pipe forums and we'd all wish we had a few tubs put back. and your description of SWRA makes me want to try a pouch. I like aros that are Burley based and aren't really aros. Milan Jefferson Street is really good, as is Watch City Deluxe Crumb Cut. Agree on SWRA...big fan of it. SWR misses the mark for me...falls short . I dont think SWRA can be equated to Deluxe Crumb ,which is maybe one of the best blends in the world imo .. Its not that kind of burley and it does have a good bit of Virginia in it .Its really an oddity because its pretty much the ribbon cut that bulk aro are in but processed a bit differently somehow because it retains . I just don’t want you to think its gonna have a burley forward flavor because it doesn’t ... its an aro , just different than all th othrs ...its kinda hard topin point . SWRA is really good. I like SWR too, but when I have them both open, I am more likely to reach for the SWRA. Just for fun sometime, try mixing SWRA and OJK. I do more or less similar quantities by volume. It gives it a little more muscle, and the roomnote/flavor are still there - although not so dominant.